With the Walmart Mastercard Credit Card you get great offers and benefits, including up to 3% in Rewards on select purchases – which is like an Extra 3% OFF Coupon every day. You also can save $35 when you open a Walmart Credit Card & spend $75 on the same your open the account, and earn unlimited cash back rewards. Don’t miss the Walmart Ad Sale for this week. $0 Fraud Liability – Protection from unauthorized charges. Get up to $100 Quick Cash in $20 increments when you make a purchase with this Credit Card at Walmart-owned registers in Walmart stores. Limit one per day. The APR for this credit card is 18.65%, 21.65%, or 24.65%. Minimum Interest Charge is $1.00. 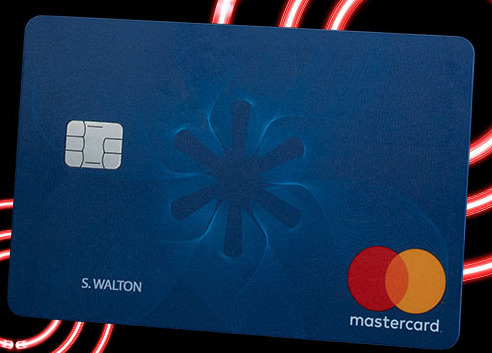 Walmart MoneyCard – Mastercard and Visa Prepaid Debit Cards – you can also earn up to 3% in cash-back Rewards with these cards but only if you shop at Walmart, and only up to $75 in cash-back rewards per year. – for Walmart online purchases made from 11/22/18 – 11/26/18 you can earn 6% back in Rewards, when you use the Prepaid Debit Cards. – save $35 when you open a Walmart Credit Card & spend $75 on the same your open the account.